Do you have a fear of public speaking? If so, exposure therapy is one avenue for gradually becoming used to public speaking and overcoming anxiety. Although exposure therapy is generally conducted by a therapist in the context of treatment such as cognitive-behavioral therapy (CBT), you can also practice exposures on your own as part of a self-help program. The premise behind exposure therapy is that you need to be exposed gradually over time to the situations that you fear in order to desensitize yourself and reduce anxiety. Standing up today in front of a huge auditorium and giving a speech would not be an example of exposure therapy. Instead, you need to take small steps and accomplish small goals that give you confidence and build your strength to handle more difficult situations. When practicing exposures, it is important not to engage in what are known as "partial avoidance strategies." For example, giving a speech but reading directly from your notes and never looking at the audience. Instead, you need to do everything that makes you afraid and nervous; but do it gradually as you become less anxious. One way to practice exposures if you are limited in access to situations or are still too fearful is to do them in imagined scenarios before tackling the real thing. Doing exposures in real life is called "in vivo", which you can build up to when you are ready. Below is a sample hierarchy list of situations that you could progress through as part of your exposure training. Everyone will fear different types of scenarios so it is important to tailor the list to what makes the most sense for you. Remember that you want to start with the situation that causes the least fear and anxiety, and gradually work up to the most difficult scenario. Read a newspaper passage in front of a friend. Choose a passage that you think will interest a friend or family member and ask if you can read it out loud. Attend a lecture and ask a question. Scan the newspaper for upcoming seminars or lectures, attend one that interests you, and make sure to ask at least one question of the person giving the talk. Ask a question or make a comment during a work meeting. Instead of staying quiet, make a comment or ask a question. This is a great chance to prepare ahead of time so that you can develop confidence and overcome anxiety. Make a toast at a party. If you attend a dinner party, instead of letting the more outgoing guests monopolize the toast process, offer to do it yourself. Offer to present at a book club meeting. Join a book club, and when it comes time for someone to speak about a particular book, offer to do the talking. Give a talk at a school for career day. Offer to go to your son or daughter's school for career day and talk about what you do for a living. Take a class to give a presentation. Find a class that you can take that will require you to do an oral presentation. Take a drama class. Many shy actors took drama courses as a bid to overcome social anxiety. You can do the same and also use the experience as a stepping stone on your fear hierarchy. Take a public speaking course. 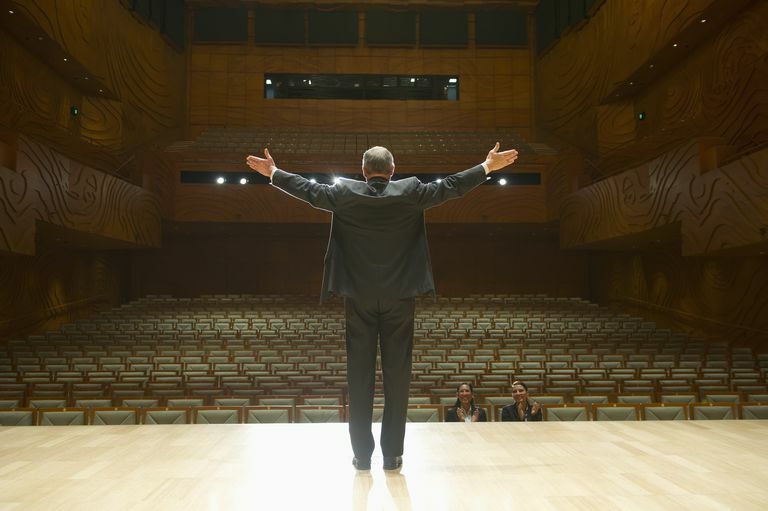 Enroll in a course specifically about public speaking. Join Toastmasters. Toastmasters is a group designed to help build your public speaking confidence and overcome fears. The purpose of the fear hierarchy is to gradually expose you to feared situations. In order for exposure therapy to work, you must stay in the situations long enough that your anxiety decreases and you become desensitized to the triggering scenario. If you find that a situation is still problematic, stay with it until your anxiety is reduced before moving on to the next one. If your social anxiety, in general, is severe and self-help strategies are not sufficient to reduce your fear, consider contacting a mental health professional or your doctor for a referral. There are effective treatments for SAD, such as cognitive-behavioral therapy (CBT) and medication, that can make a difference in your life.